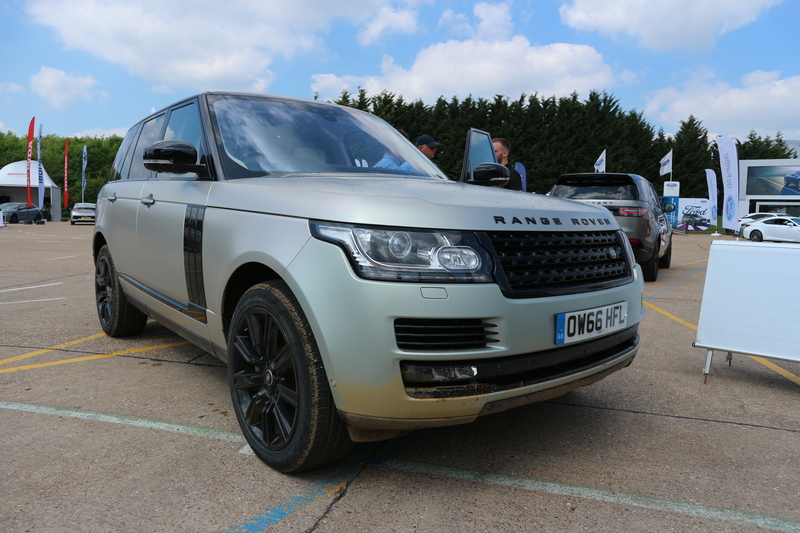 Carrying on from the last two posts covering the SMMT Test Day 2017 in the Audi R8 Spyder and the “All New” Land Rover Discovery, I thought I would give a quick summary of some of the other cars I drove on the day. The great thing about these events is that you get to drive such a wonderful mix of cars all in one day – the bad thing about these events is you have to fit in so many drives in one day… It means that you don’t really get a proper test of what the car is like day-to-day or flat out around a track (depending on the car in question) Having said that, you still get enough time to get a basic feel and understanding of how the car could perform, if you had the time and surroundings. The Alpine Circuit may be short and have a strict 55 mph speed limit, but with its hairpins and climbs, you get to know pretty quickly if you’re in a capable car or not. This is the second time I have been behind the wheel of the M4 since it came out back in 2014. 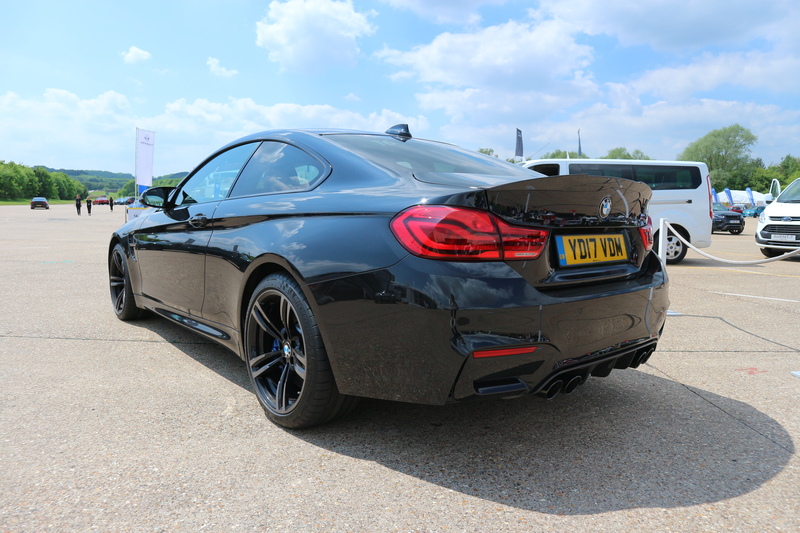 I remember when I first drove it I was still very much in love with the rev-happy 4.0 V8 M3 coupe and I was still very much of the opinion that the manual was still king. After driving the M4 though, that all changed. The M3 was quick, but the M4 is in a different league. It sits a lot lower and feels a lot more planted when you go into the bends and the most recent version with the Competition Pack is the best looking version yet. The main adjustments are in the suspension with uprated springs, dampers, and anti-roll bars along with lightweight seats, a bit of diff re-tuning and a few extra horses (19 to be precise). That and a lot of extra carbon parts make the M4 Competition Pack look more aggressive than ever. To be honest, it is everything you would expect from an upgraded M-car – all the best bits from the existing model, made better. The best bit about the entire package, though, comes in the form of the M-striped woven seat belts. They just look cool. As with the M4, this is not the first time I have driven the new L405 Range Rover, however this is the first time I have driven the Autobiography model with the more powerful 4.4 SDV8 engine and it is also the first time I have taken off-road. Now obviously the Range Rover is a great car on the road. 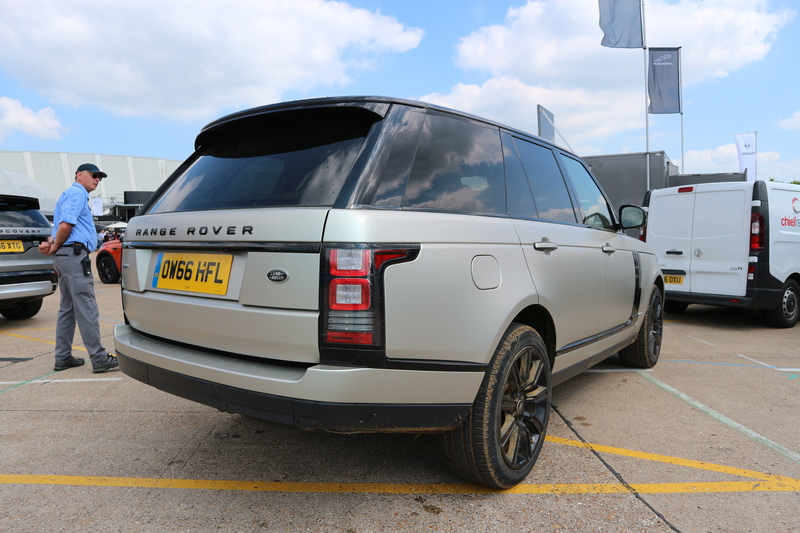 It’s quiet, smooth, incredibly refined and the engines pulls like a train – it is off-road though where the Range Rover excels. It does everything the All New Discovery does, but in a much more comfortable way. The Discovery is not an uncomfortable car at all in its newest form, it’s wonderfully refined, but the Range Rover is in a league above. The thing that always impresses me about the Range Rover is that on the road it is so good as a long distance mile-muncher, but when you take it through the muddy stuff it pulls it’s way through with such ease. the whole time we were driving the car up steep muddy climbs and through deep water we were having a nice calm conversation with no need to speak up at any point and there were no moments of panic that the 2.4 tonne lump of aluminium might not make it. The great thing about the Range Rover and the new Discovery is the ground breaking technology that has gone in to them – from the second-generation Terrain Response system that can literally drive the car up a steep incline for you at a speed set by you to its automatic wading depth sensors and multiple cameras. I still stand by my words that the Range Rover is the best all-round car money can buy and if you can afford one, you should get one. I know if I am ever in that fortunate position, I will! It is just fabulous. The 2017 Porsche Boxster S was always going to be an interesting one to drive and review – I have now driven every generation of the 2 seater mid-engined sports car and I have always found it very hard to fault – all those people who call it “a poor man’s 911” have clearly never driven one and probably, themselves, cannot afford the Boxster. That is irrelevant though. What is relevant is that this car is always going to be a room divider, but for different reasons now. In my opinion the Boxster has always been a better handling car and a more driver-focused car for small tight circuits but I am sure that thousands would try and argue that with me and the new 718 Boxster S is no different. It still sticks to the road like glue with it’s perfect weight distribution, mid-mounted engine and the optional Porsche Active Suspension Management (PASM). There really is no argument that the newest model is still a great sports car, it would be criminal if it wasn’t. But sometimes performance alone doesn’t quite cut it. The great thing about Porsches, and this is aimed at all the current range, is the way they feel when you’re sat in one, tightly gripping the alcantara steering wheel as you feed them through bends. It’s a very unique feel that is effected by all your senses – your sense of hearing being one of them. The new 718 Boxster has dropped the 6 cylinder naturally aspirated setup and replaced it with more efficient 4 cylinder turbo charged lumps (a 2.0 in the standard Boxster and Cayman and a larger 2.5 in the Boxster S and Cayman S). I was ready to be very disappointed with this change as I grew up listening to my brother’s Boxster firing up early in the morning and loving that properly recognisable almost tinny flat six sound, but I was actually pleasantly surprised. A lot of people are starting to make noise about the electric steering and the turbo charged engines like they are the beginning of the end, I like to look at it for what it really is, the beginning of the next step. It used to be that you could either have a fast car, or an efficient one, and now you can have both without losing that pedigree and feel. The new Boxster S is as good a car as the old one, and that is a bloody good car. 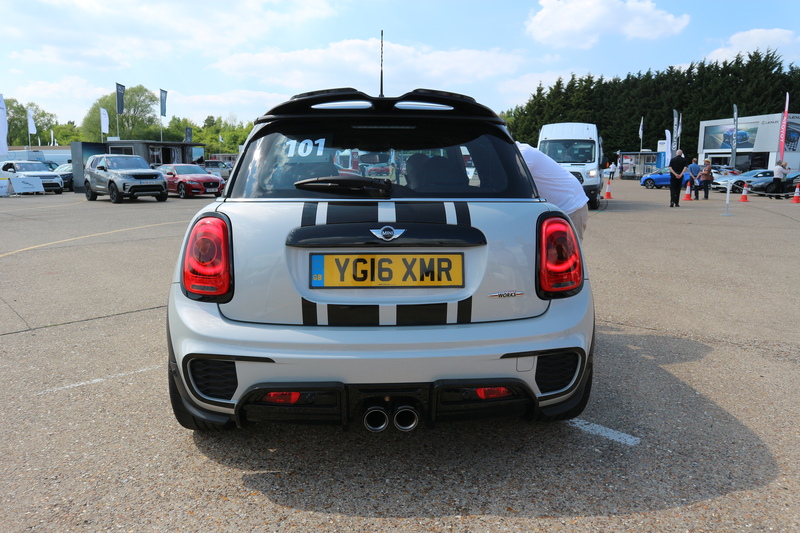 Take a standard Mini Cooper S hatch, give it some John Cooper Works tuning, a limited slip differential, fully adjustable suspension and an active exhaust and a few other little goodies and what do you get? The Mini Cooper S JCW Challenge. A limited run of only around 50 are being produced and the price is about £9,000 on top of the standard Cooper S list price, so don’t expect to see many of these on the road. Developed and engineered at the Plant Oxford in collaboration with the official suppliers of the Mini Challenge Race Series, the JCW Challenge is in essence a road worthy version of the track car. Mini have done a great job keeping this as true to the track version as possible with its lightweight Team Dynamics 17″ alloy wheels clad in super sticky Michelin Pilot Sport Cup 2 tyres that are normally reserved for the likes of the Porsche 911 GT3RS and other rare and exotic cars, it’s fully adjustable Nitron suspension and Quaife LSD. Inside it’s a similar story, there’s no fancy satellite navigation of comfy leather seats, it has been made lighter, stiffer and because of this the drive is unlike any other Mini on the market. It takes all the usual Cooper S characteristics like it’s great grip and top “smiles for miles” approach to road driving and then multiplies it by 100. The steering is heavier by direct, you really do feel like you are driving a 228bhp go-kart. It is the Mini every enthusiast wants there’s to be feel like. All the raw feel of a home-made track weapon with the over-engineered and tight feel of a factory fresh new car. Down by the cup holder there is a little button that is linked via Bluetooth to the exhaust, and as you double tap it the back-boxes give out this great deep sound that never gets old. Sure, it’s a gimmick, but we all love them once in a while. There is one other car that I drove, but that will be featured separately in my next instalment, so please keep your eyes on the Well Driven Facebook, Twitter and Instagram.